Samsung is working on a smart speaker powered by its new Bixby voice assistant, according to a report in The Wall Street Journal. The project is said to be codenamed Vega, but little more is known about the device; its features and specifications are apparently yet to be decided, much less a release date. The Vega project’s development is reportedly being slowed by the progress of Bixby itself. Samsung had to launch the Galaxy S8 without support for English voice commands, despite marketing Bixby as a prominent feature of the phone and giving it a dedicated button. Voice support started to roll out in preview form last month, but there’s clearly still a long way to go. 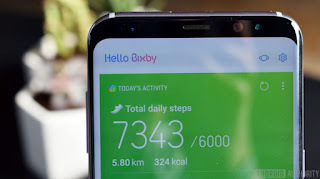 Whenever Samsung is able to get its Bixby speaker ready, it’ll be entering a rapidly growing market. Amazon’s Echo came out in 2014, Google Home was released last year, and the Apple HomePod is due to go on sale in December. Microsoft is also enabling a range of similar devices powered by Windows 10, while Asian companies like Alibaba and Line are preparing to launch their own products soon.